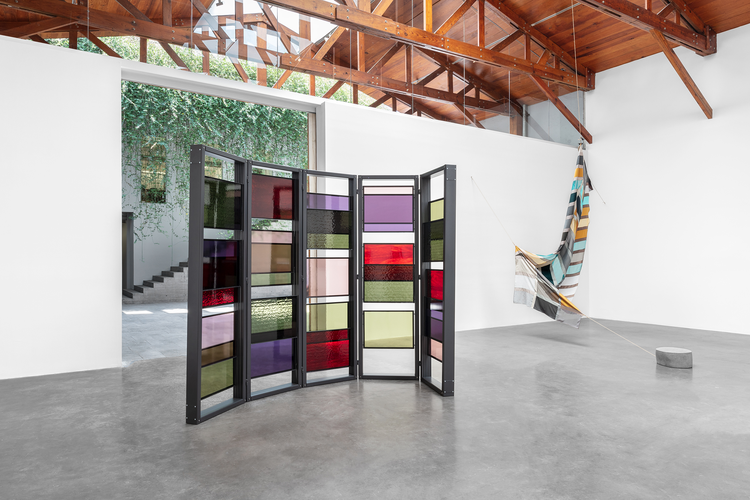 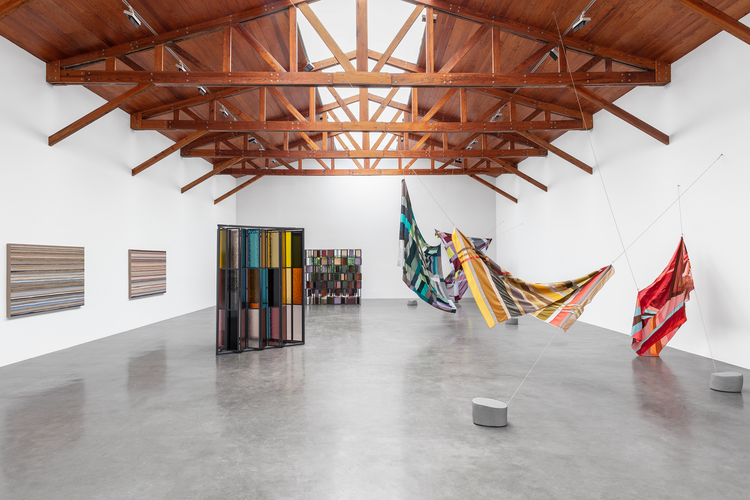 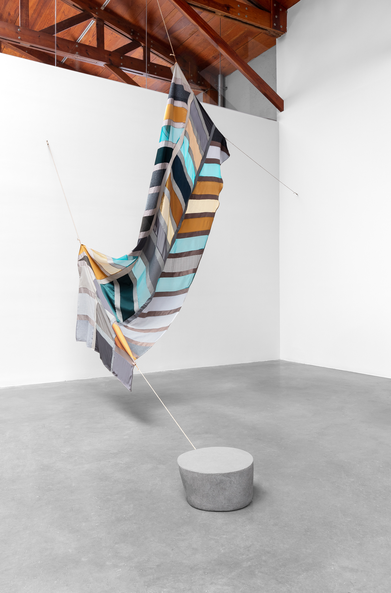 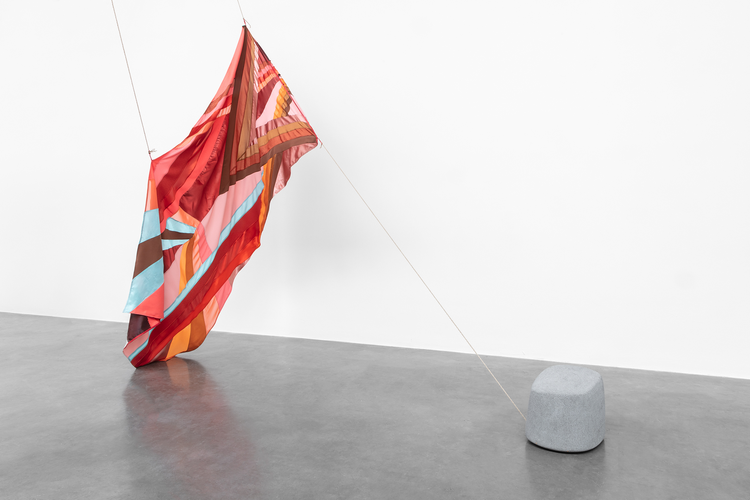 Clave intermedia (Intermediate Key), the latest exhibition by Sofía Táboas at kurimanzutto, presents a body of work that translates pictorial and graphic exercises into sculptures. 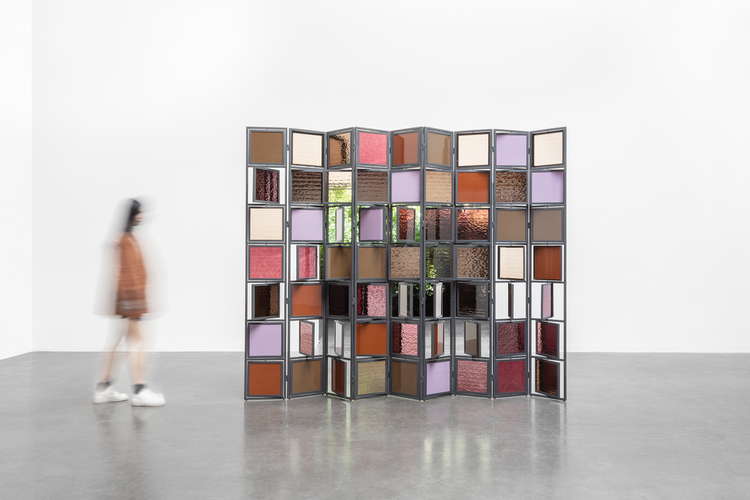 The artist focuses on studying the aesthetic properties of natural and artificial matter around us; at the same time, she explores the possibility of extracting certain pictorial theories from their habitual medium. 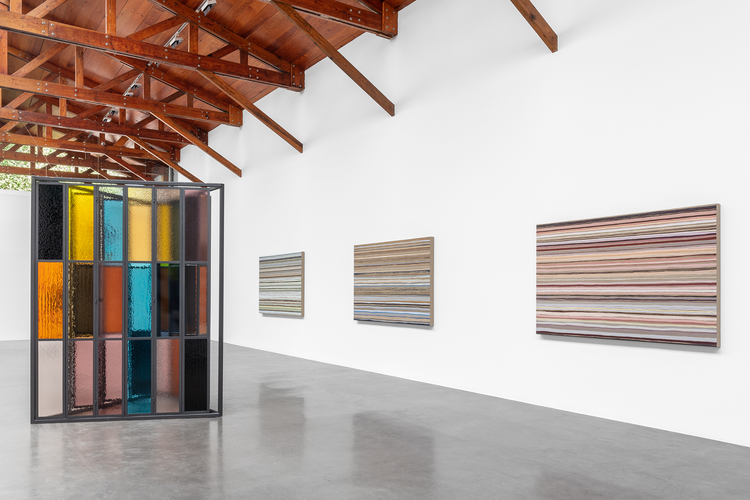 Color theory sets the tone for various pieces in the exhibition: a series of stone samples (organized by hue, texture, and opacity) serve as tonal keys for the creation of paintings. 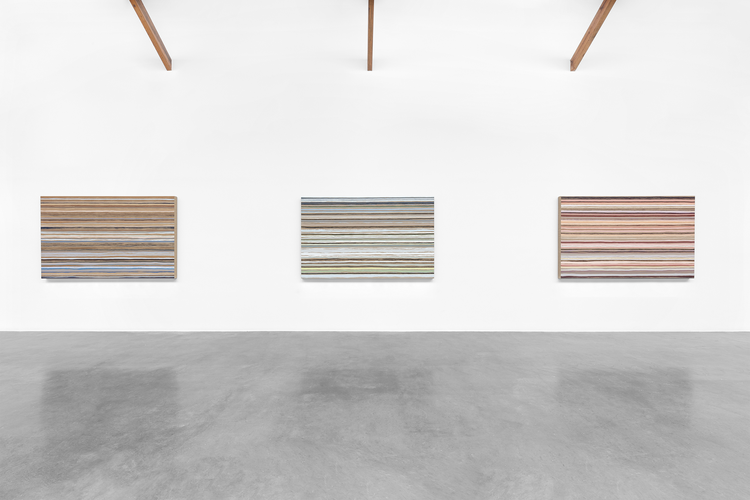 These mineral repertoires contain color combinations that the artist uses as cross-references on the surface of each canvas. 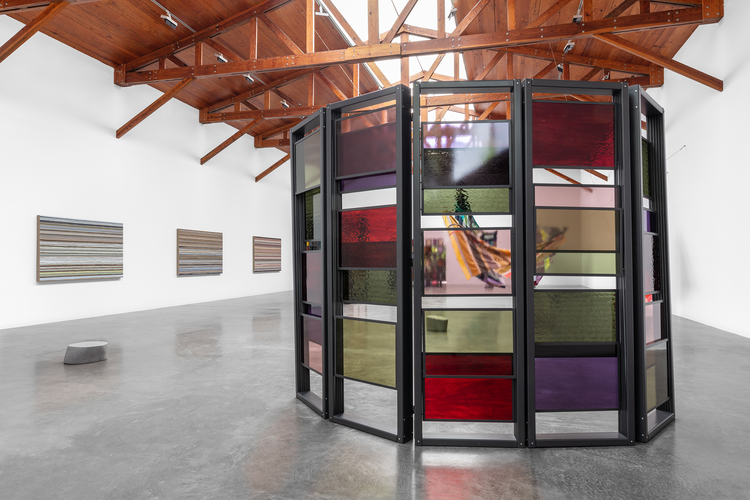 In another set, Táboas carefully observes the graphic elements the city offers: iron fences, window-grates, and doors reveal a landscape of orthogonal compositions. 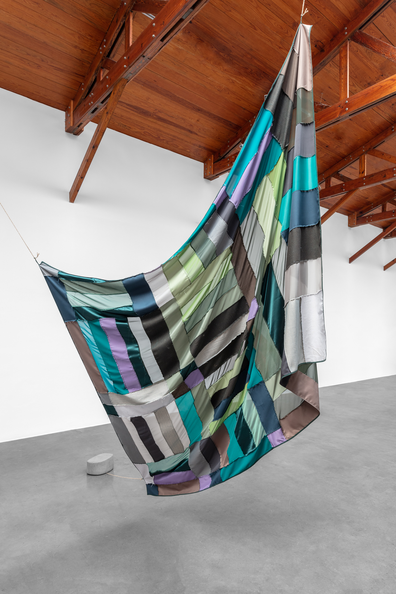 Seeking to counteract the rigidity of these grids, the artist transforms iron and glass patterns into textiles that change with their installation in space, like curtains suspended from different points in the gallery, anchored to the ground by a stone ballast of soft shapes. 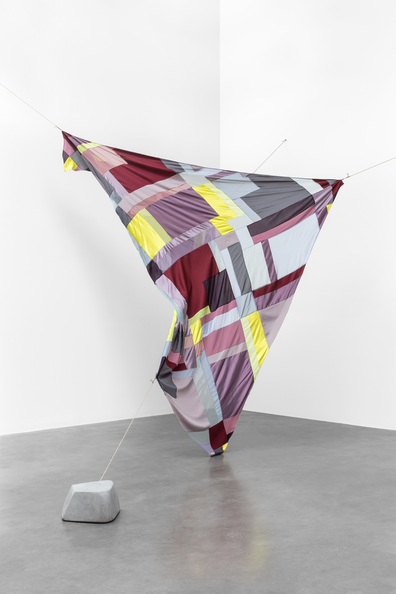 The multicolored composition of the cloth is also organized according to chromatic rules of color theory: primary and complementary colors, warm palette, and scale of values, among others. 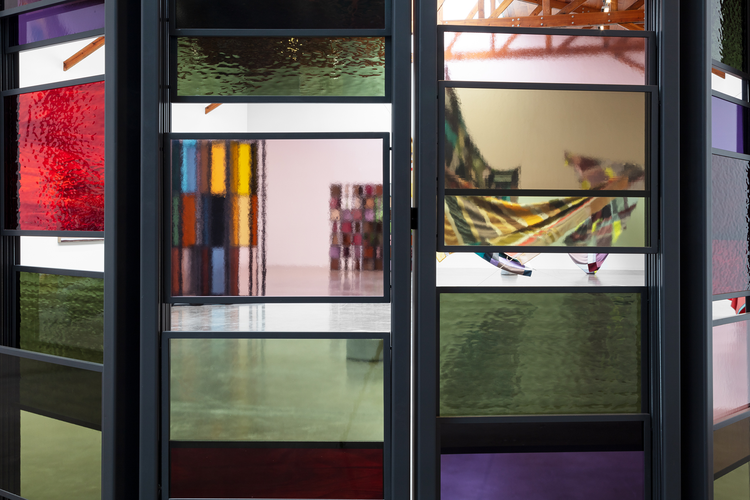 In this exhibition, Táboas is especially interested in the intermediate areas separating internal and external spaces (e.g., doors, gates, windows, stained glass, mesh, curtains), as well as the thresholds they offer us for traversing space with our eyes and bodies. 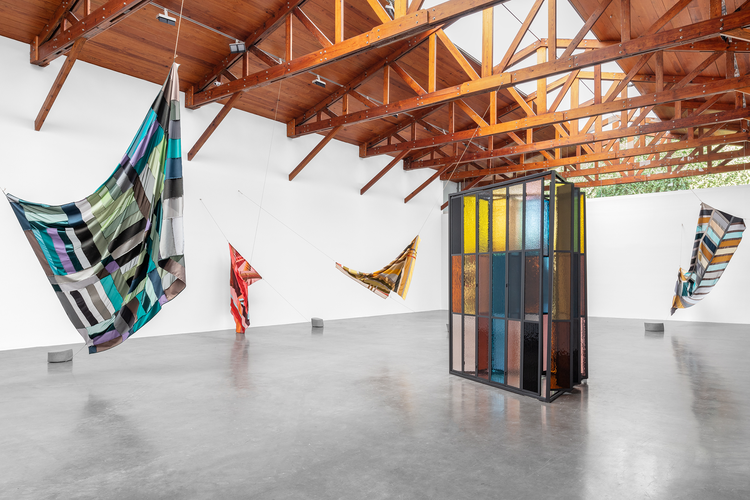 Together, the work in Clave intermedia continues the artist’s investigation into attributes of matter—a subject she has pursued throughout her entire career. 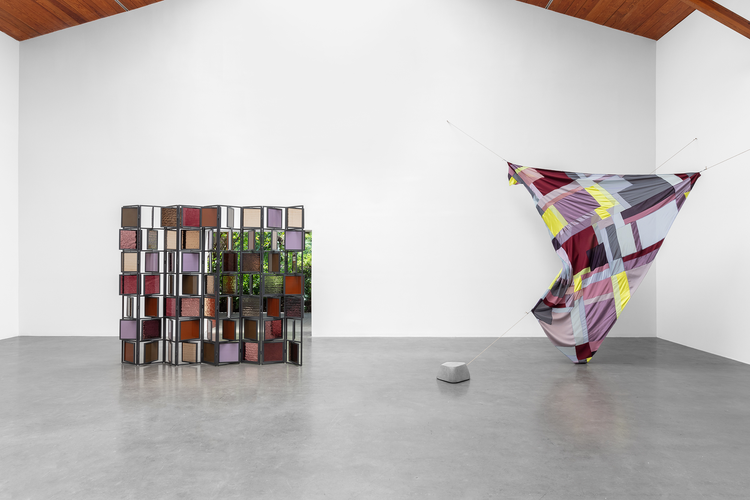 In this way, Táboas explores the relationships between landscape, architecture, and sculpture through exercises associated with painting.